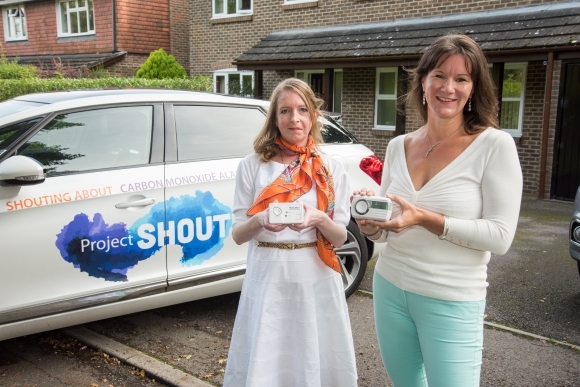 RESIDENTS in Woking are being warned of a silent killer, ahead of the launch of a national carbon monoxide (CO) awareness campaign called Project SHOUT, launching this month. of the deadly gas after suffering from carbon monoxide poisoning when their neighbour’s faulty boiler leaked through to Dominic’s bedroom, killing him as he slept. They are both supporting the campaign because one person dies every week in the UK from carbon monoxide poisoning which can be produced from faulty fuel-burning appliances, including your boiler, fireplace, cooker, hob, barbeque or even a clogged chimney. Project SHOUT is supported by the Fire and Rescue Service, many leading retailers such as B&Q and Amazon, energy suppliers British Gas, and leading medical expert Dr Sarah Jarvis.